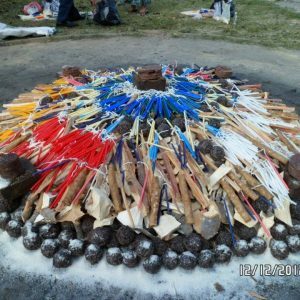 Full Moon Sacred Cacao & Mayan Fire Ceremony - Free Spirit & Mind! 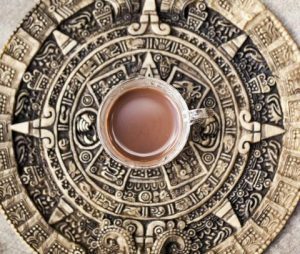 Please join us with the Full Moon around the fire for a magical evening to Experience the benefits of Cacao in the physical and spiritual realms along with a Mayan fire ceremony. Let’s bring together our intentions, prayers, songs and mantras for personal transformation, growth & healing and let’s leave as friends & relatives. 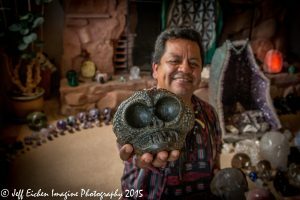 Jose Ajpu Federico Munoz is a traditional Day & Time Keeper of the Mayan Calendar, spiritual guide, a permanent Guardian of a crystal skull called “Kame Cimi” and a ceremonial leader of the Mayan Chor’Ti people. Jose is the carrier of the new 26,000-year Cycle Calendar known as the Sixth Sun Calendar which started at the turn of the cycle in December 22nd, 2012 and is the spoken word of Mayan History from the years of 1444 to 1529 for which he works in what he calls the Northern Territories which range from Guatemala to the west of Alaska and to the East of Montreal. We will start the evening at 7pm with a vegetarian potluck, drum & dance followed by our ceremony which will commence at 8pm *** PLEASE park along one of the two Flower streets near the park so that we may keep our neighbors happy ~ thank you kindly. Your own cup for the ceremony (preferably glass or ceramic)n Blankets, Drums and Rattles, Special Offerings and Items such as Stones, Tobacco, Incense, Flowers, Candles, Herbs and Seeds. The minimum contribution for this ceremony is $25 per person paid through paypal (see details below or click on link above), at the door or in advance via Venmo to 480-228-7758 ** be sure to note what you are paying for please and thank you so much. Paypal to https://www.paypal.me/LumaraRose *** When paying through paypal… you pay the fee or choose to send $ to friends & family and don’t pay any fee.